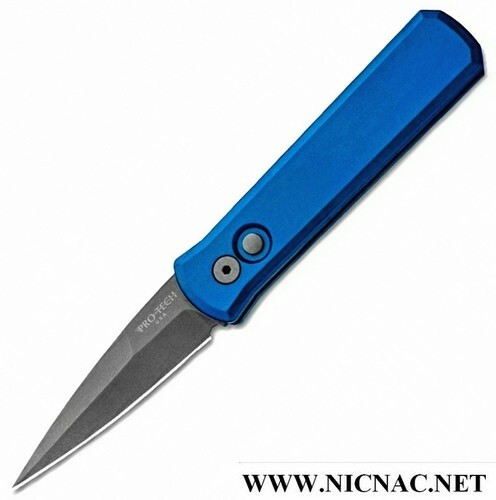 The Pro-Tech Godson Automatic Knife has an overall length of 7.56 inches and a blade length: 3.15 inches. The blade thickness is 11 inches and the blade steel is 154-CM with a handle material made of 6061 T6 aircraft aluminum. The closed length is 4.41 inches and the handle thickness is .45. This beauty weighs in at 5.4 ounces. A great EDC (every day carry) knife. Made in the USA.